Pretty and pink this task light is perfect for home offices, workspaces and artist benches. 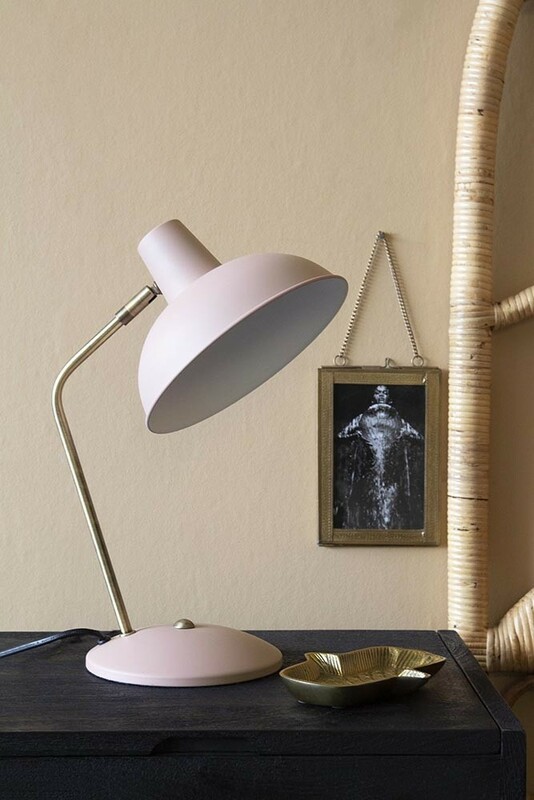 The Pale Pink Retro Desk Lamp is made from iron and features a matt pink shade, brass stand and rounded matt pink base. 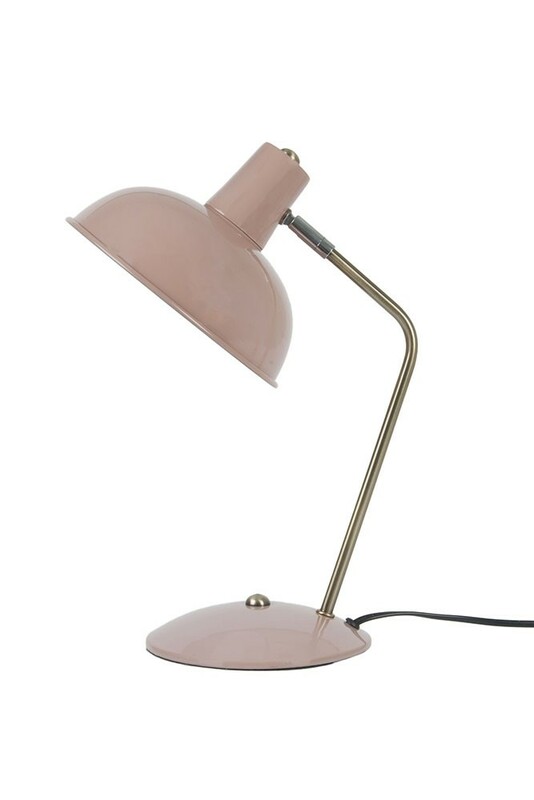 Super retro, this dusky pink shade table light is also available in Matt Black, Matt White and Berry Red. The Pale Pink & Gold Retro Desk Lamp measures 37.5cm in height with a shade diameter of 19.5cm.This desk light requires a E14 Max. 40W bulb. What goes around comes around and Retro Style Interiors is one of those everlasting interior styles that will surpass any interior trend. A quirky and cool interior style the Pink Retro Desk Lamp will inject colour pop and pink retro vibe into your interiors, creating a home that is bursting with character and personality. So, we think that you will love this directional desk lamp if you are on the search for a seriously cool desk lamp that will add a touch of retro eclecticism to your home. A useful task light that looks stylish too, great places to style your table light would be on your desks and work desks for when you are hard at work, on your side tables for reading or alternatively on your bedside table as a nightstand light.